Sorry for my english, I`m from Germany. The story started last spring when i first saw David`s tricopter. I was amazed and had to build it. So I bougt thes tuff i need from HK. As a transmitter i chose the Turnigy 9x. It had the V2 firmaware on it. 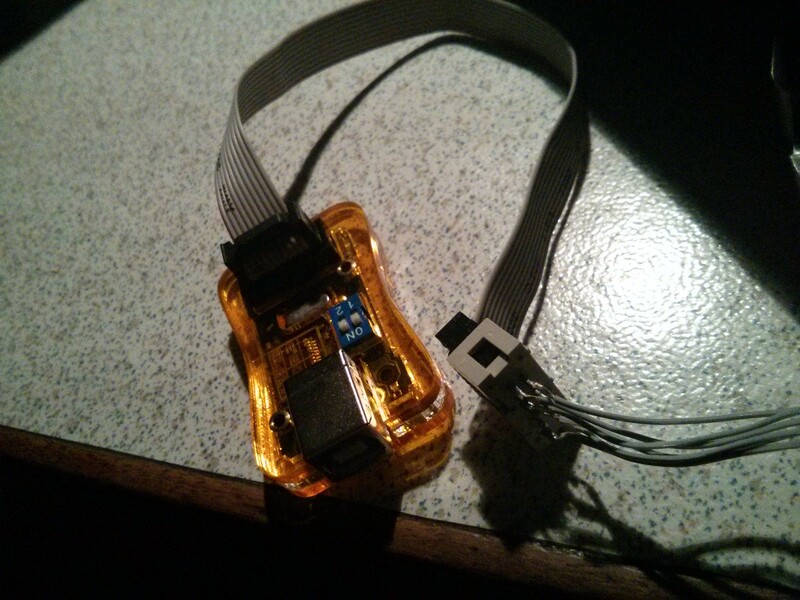 When I was done with the build I flashed the Speed Controllers with SimonK`s firmaware. No problem there, i teached the controllers with the 9x and they where running. But they didn`t arm when they where connected to the microWii controller. I tried so much, measured all kind of stuff but nothing helped. So I thought there was something wrong with my transmitter. And actually through all the readings about multi copters everybody said: flash your transmitter. So I did. I wired it up, checked connections started up eePe chose the right options and hit the flash button. At the end I got a massage that said: contet missmatch. AVR dude did not finish correct. The 9x won`t turn on any more. I can flash it again and it seems that my programmer has a connection to the Transmitter but I always get an error and the Transmitter seems bricked. I put a picture from eePe after flashing to this post with the error massage. I hope somebody can help me. I`m so disapointed. Check your wiring again. Send pictures. 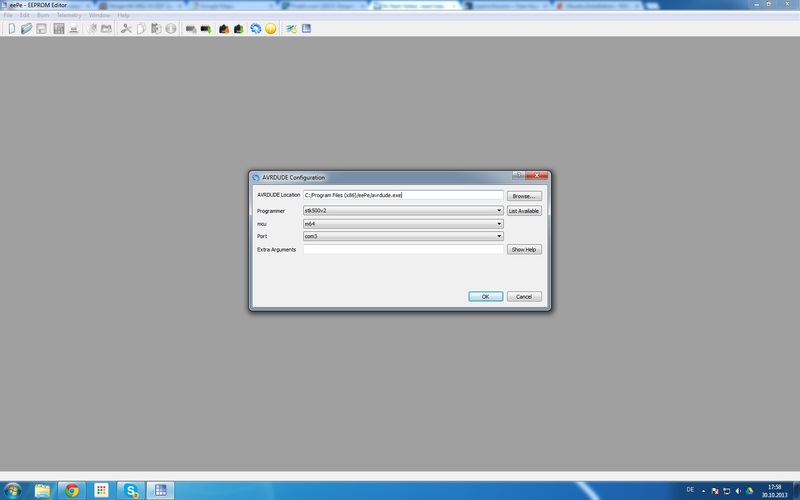 You might also try flashing with OpenTX using companion 9x. Thank`s for the fast reply! I tried flashing er9x with companion 9x but with the same result. I`ll check my wiring and make some pictures when i got back from work. Did you verify the MCU setting? I checked my wiring twice and a friend of mine checked it also. It is ok. I missed taking some pictures. I will try to make them today. What are MCU settings? And how can i verify them? I still didn`t found any option that bring back the life für the 9x. I checkd the wiring but it seems all ok. I made some pictures. Maybe someone has an advice for me. Did you install the Zadig drivers? I`ll check that and will report. and i took the standard firmware with no extensions. but i can`t find the advanced settings you mensioned. The links you send seem to me they are only for the taranis Transmitter. Or do I need Zadig for the 9x too? OpenTX and CompanionTx are the same program, you just select different firmware on the preferences page to download to the radio, so the drivers should be the same. I had an error similar to yours, and installing the new driver fixed it. I tried that and Installed the new driver. Before my Programmer was listed as ATMEL AVR ISP. 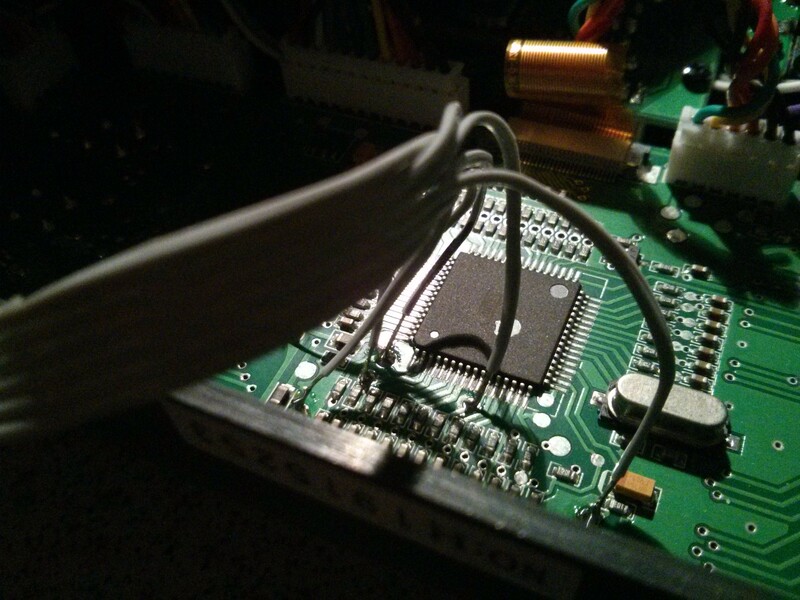 And in companion9x or eePe i chose the STK500v2 Programmer. After i installed the new driver with Zadig the Programmer was found as AVR-ISP and in companion i had to choose avrisp as programming device. But now i get a connection timeout when companion will start writing but he finds a device. I also checked my fuses, they are ok. But I still don`know whats wron with my Transmitter. Anyway thank you and i hope you got some more advice. Much as I love this forum, you probably need to go over to the openrc forum for an answer. That's ok, the MCU is selectable there and it's set correctly =). I probably confused it with Companion 9X which is a derivate. I usually choose the suggested binary that both apps detect automatically if available. The problem isn't your drivers or firmware since you flashed your ESC's successfully your drivers are working fine. 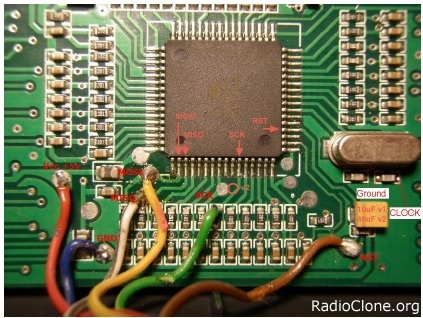 Since your radio wont turn on any longer it sounds like you may have a fuse issue which disabled the CLK signal to the atmega64. Also known as a &#8220;Fuse Brick&#8221;, This document will help you recover from this condition. I haven't used the Reset Fuse function in Companion9x or EEPE, I use avrdudess, it's a gui front end to the command line tool avrdude. You can read the fuses and set them with a few clicks, this is a personal preference for me because its very easy to use and extremely powerful. //Use Timer/Counter1 to generate a 1MHz square wave on Arduino pin 9.